BIGWASP Premium Tattoo Needles feature medical-grade surgical steel construction, precision ground needle points, and a smoothly pulled solder. All needle configurations have evenly spaced, tight needle spreads that help to reduce friction and feature consistent roundness. 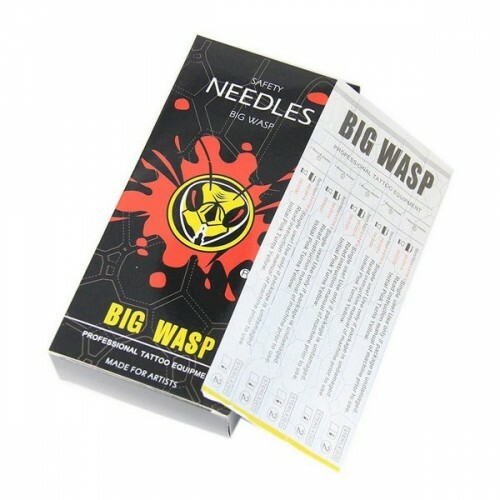 One box contains 50 BIGWASP Premium Tattoo Needles, each individually packaged with the lot number, expiration date, and sterilization indicator.